For the first time in about three years, I just rewatched Sherlock‘s unaired pilot episode (available as part of the Series 1 DVD/Blu-Ray set). If you’re a fan of the series and haven’t watched it, I highly recommend a look at the hour-long story, which plays as a slightly AU version of the series’s first episode, A Study in Pink. 1. 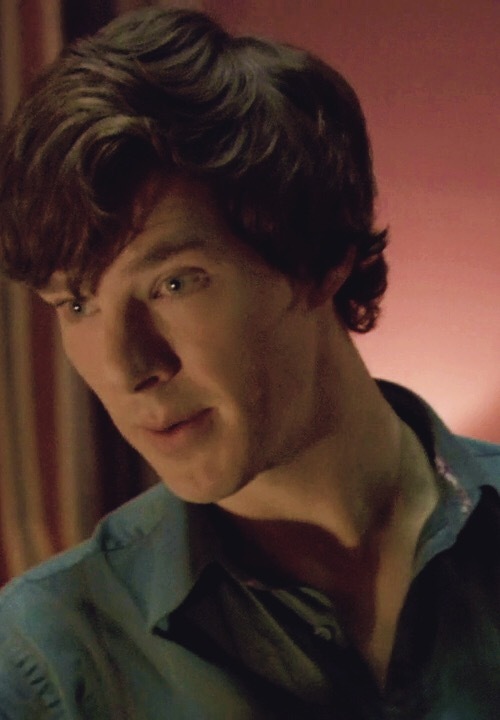 Hipsterlock: Sherlock is a floppy-haired, denim-clad London boy with a flat full of 90s-esque decor. It’s not hard to understand why, for the full series, the production decided to go a far more stylized route, but it’s massively entertaining to imagine the postgrad schlubbiness that might have been. 2. Emotional realism: In the aired version of A Study in Pink, John Watson begins to trust and defend Sherlock quite quickly, choosing not to take up Mycroft’s offer to spy on him and repudiating Holmes’s detractors when they come to his flat to search for illegal drugs. In spite of the pilot’s shorter runtime, the arc of John’s serious doubts turning to sincere trust is clearer, and his decision to bet on Holmes in the end has slightly more visceral emotional weight. 3. Where’s Mycroft? An hour is too short a time to contain all of the subplots in A Study In Pink, and Mark Gatiss’s ambiguous Mycroft Holmes is a notable casualty, appearing only as a name on an email Sherlock sends out. His absence makes the world of the pilot feel much smaller and less eerie than the London of the aired version. 4. Less Troubled Hero: The Sherlock of the pilot isn’t exactly at home in society, but he’s not as arrogant or acerbic as his eventual characterization. He’s also less of a risk-taker. Jeff the cabbie has to drug him to take him (very unwillingly) to the scene of his attempted demise, and it’s only at the very end of the encounter that Sherlock chooses the game over self-preservation. The final version paints a far more cold-blooded and striking picture of the lengths Sherlock is willing to go to in an effort to satisfy his curiosity and win the game regardless of the risks to his own safety. 5. Missing Arc: The final moments of A Study in Pink contain a yelled reference to Jim Moriarty, the story’s link to the overall arc of the series as a whole. The pilot contains no such mention (or implication that the cabbie is working with anyone else), likely because in a series of six one-hour episodes, which was the original intention for the show, Moriarty wouldn’t have needed to be referenced that early. Batman Shot Bonus: The pilot contains a shot of Sherlock on a roof while John looks up at him from the ground and magically cheesy music swells in the background. It’s amazing and incredible and absolutely should not have made it to the aired version (and thankfully didn’t), but you owe it to yourself not to miss it.